Burbank and John Burroughs High School instrumental and vocal music students join with professional musicians from the Los Angeles area for the one-night-only concert Music Is Instrumental – An Evening of Music from Film & Television on Friday evening, May 11. 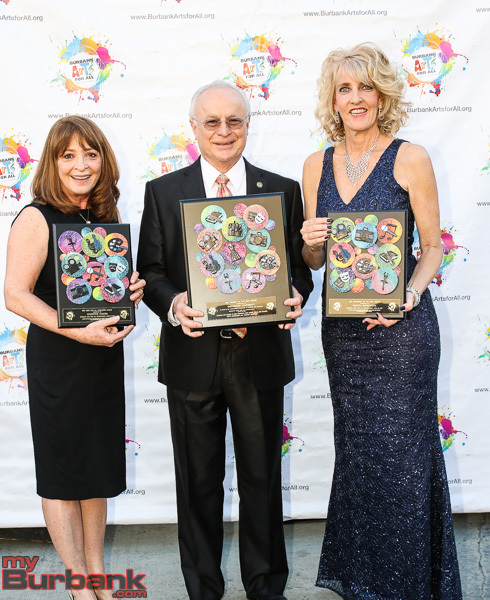 Featuring works by John Williams, Lalo Schifrin, Peter Boyer and Carl Orff, Music Is Instrumental – An Evening of Music from Film & Television is the culmination of a year-long campaign to raise funds to repair and replace instruments for the middle school and high school music programs in the Burbank Unified School District. “This concert is going to be an incredible celebration of what can be accomplished when many groups rally around one cause!” commented Burbank Unified Arts & Career Technical Education Coordinator Peggy Flynn. 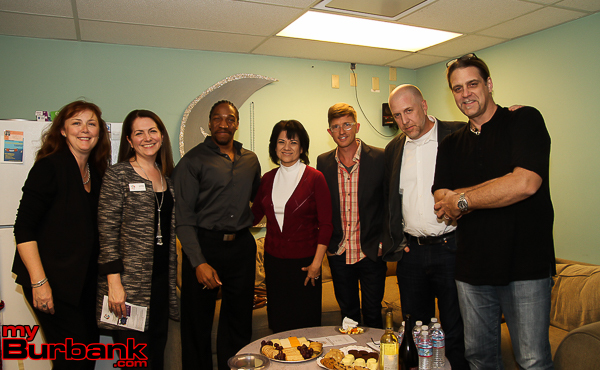 “We are so grateful for the support we are receiving from our business and non-profit partners – especially Musicians at Play Foundation founders Don and April Williams, 1000 for $100 Chairs Michael Cusumano, Michael Hastings and Linda Walmsley, the L.A. County Arts Commission, County Supervisor Barger and Burbank Arts For All Foundation for their commitment to our students and the Music is Instrumental campaign,” Flynn added. 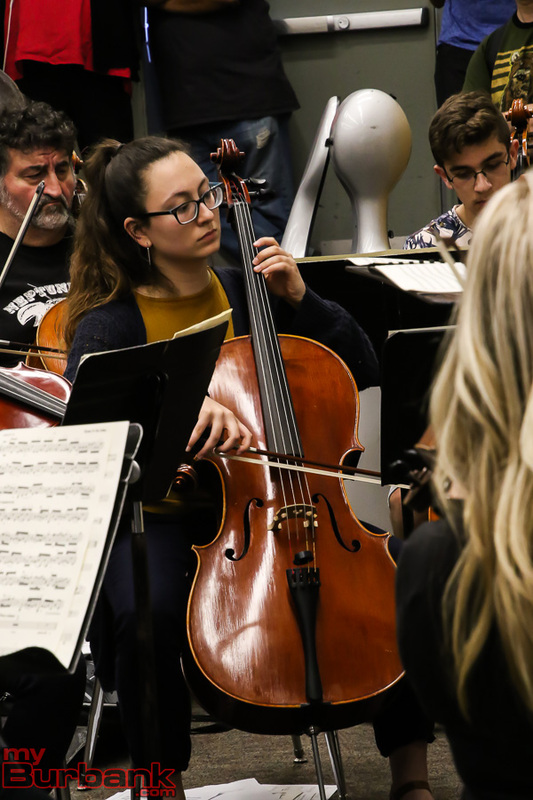 Several professional musicians from the Musicians at Play Foundation will perform with the first BUSD All-District Symphonic Orchestra and Choir, which makes their concert debut Friday. Composer Peter Boyer guest conducts. Band, orchestra and show choirs from both BHS and JBHS open the concert. 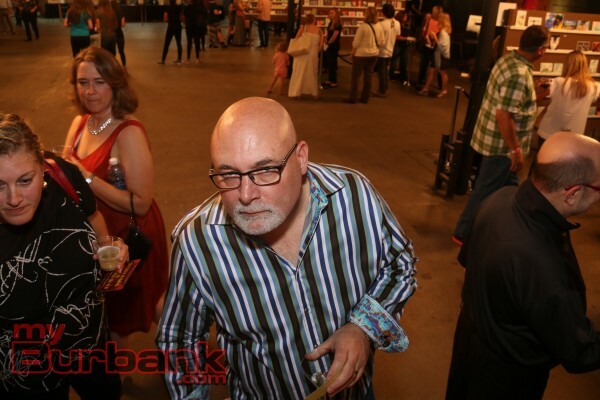 Producer and songwriter Toft Willingham will emcee the event. 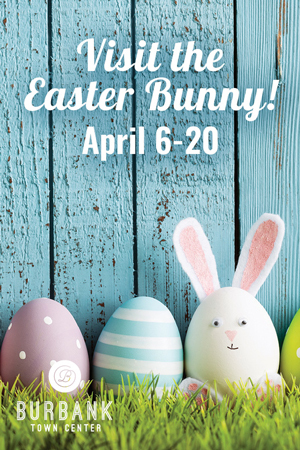 A silent auction, featuring an original Star Wars score signed by John Williams, a John Debney-signed score of “Teamwork Reprise” from Sponge Bob Square Pants and instruments contributed by the Federation of Musicians Local 47, will be held. Nickelodeon is also an event sponsor. The Music is Instrumental campaign has raised approximately $111,000 so far, with about $9000 more needed to reach the initial goal of $120,000 for the first year of the campaign. More information on the District’s efforts can be found here. 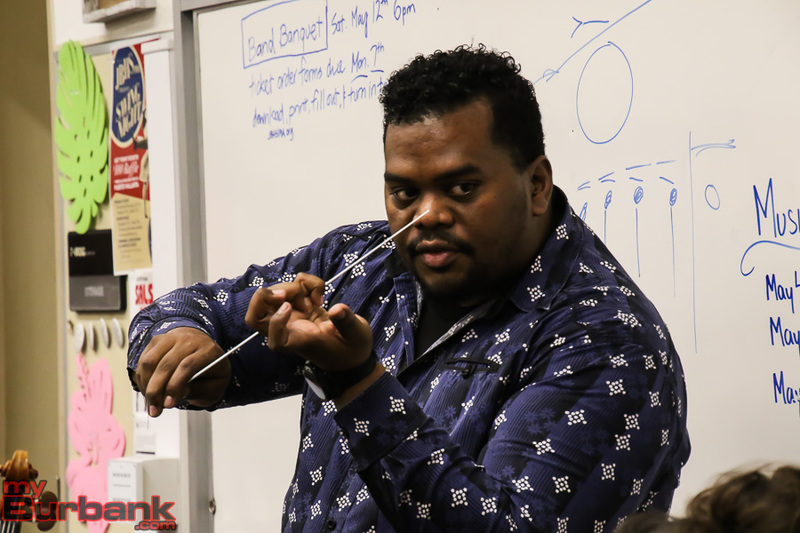 “It has been incredible to work with Musicians at Play to create a final celebration concert for this year’s Music is Instrumental campaign,” commented Justin Klotzle, Burbank High School instrumental music teacher. “It is our job as teachers and mentors to make sure the art of music fuels itself to survive the passage of time,” he added. Tickets for the Music Is Instrumental – An Evening of Music from Film & Television concert are $15 general admission, $50 VIP and $10 for students and seniors. Tickets are available online now or at the box office night of show. 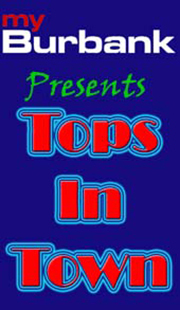 The concert will be held in Wolfson Auditorium at Burbank High School and begins at 7:30 p.m. 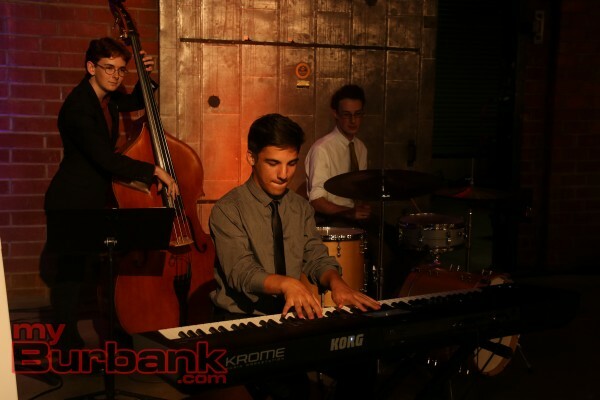 Donations to the Music is Instrumental program can be made online at https://www.burbankusd.org/afa or http://www.musiciansatplay.org/. 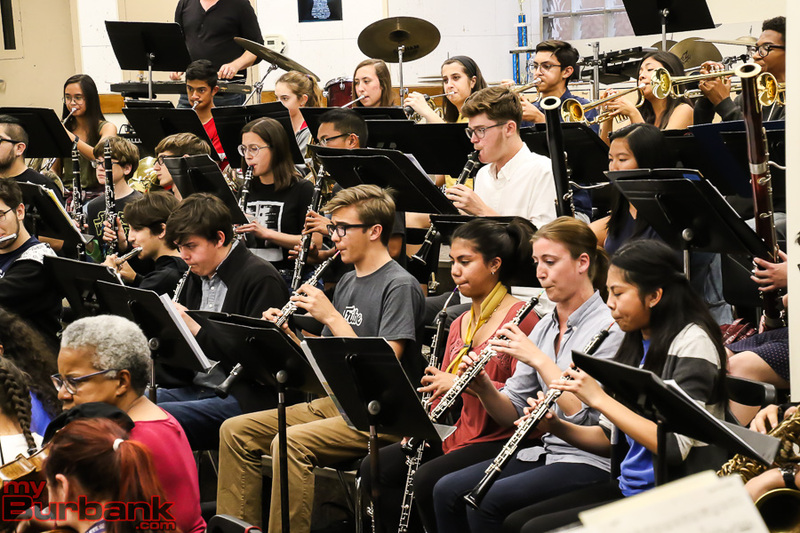 This entry was posted in Entertainment, Events, News, Schools and tagged Burbank Arts For All, busd all district orchestra, music is instrumental, musicians at play on May 7, 2018 by Lisa Paredes. 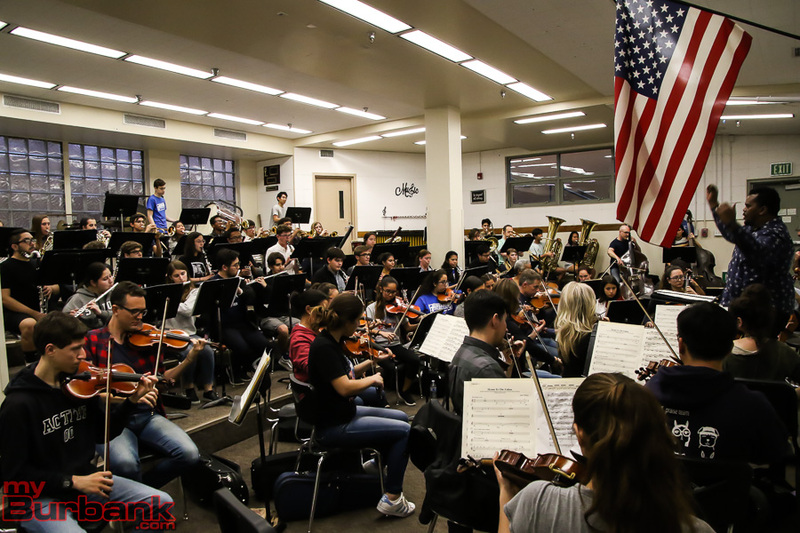 Since October, the Burbank Unified School District has been working towards raising 1.2 million dollars to repair and replace musical instruments in all five of the secondary schools’ Instrumental Music programs. 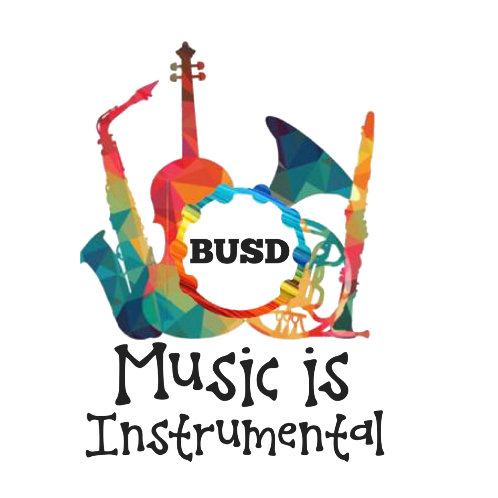 Naming the campaign “Music Is Instrumental,” the BUSD Arts For All program aims to raise 10%, or $120,000, of that need by the end of the 2017-18 school year. 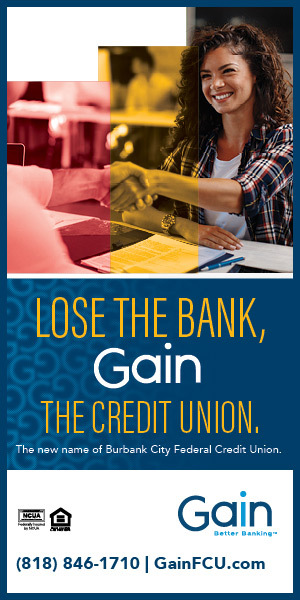 Many members of the Burbank community, and the larger Los Angeles community, have been working towards raising these funds, including Musicians at Play Foundation, the Burbank Arts for All Foundation, the Los Angeles County Arts Education Collective, the Burbank Education Foundation, Burbank Music Academy, Music Junction, Logix Credit Union, Nickelodeon and the American Federation of Musicians, Local 47, according to BUSD Arts & CTE Coordinator Peggy Flynn. Each of the five secondary schools’ Instrumental Music Association booster organizations, parents, District staff and community members, along with local corporate and small businesses, have also joined in the Music Is Instrumental campaign. One of the larger campaigns, 1000 For $100, is chaired by local businesspeople Michael Cusumano and Michael Hastings, along with elementary school teacher Linda Walmsley. 1000 For $100 began with an outreach to over 60 community leaders asking for their support in getting 1000 people to donate $100 for instrument repair and replacement in the middle and high schools in Burbank, explained Walmsley. An anonymous donor has pledged a matching grant of up to $20,000 towards the campaign in an effort to inspire more community members to contribute. If the campaign raises the $20,000 match, it will yield an additional $40,000 to the overall effort. Since October 2017, the campaign has raised over $79,000 towards the BUSD Arts For All goal of $100,000. 100% of all donated funds will be used to repair and replace musical instruments for students. Donations are 100% tax deductible and can be made on the BUSD site here or by visiting Musicians At Play here. 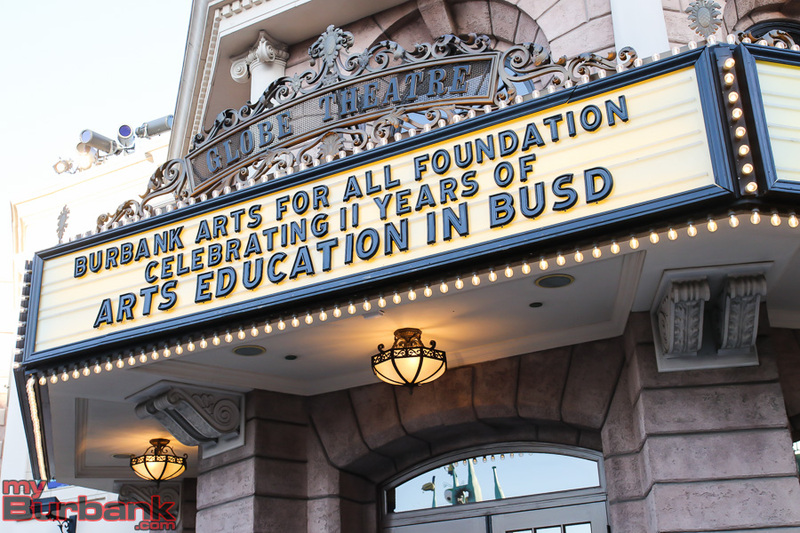 Specific donations to the 1000 For $100 campaign can also be made on the Burbank Arts For All Foundation site, noting “BUSD INSTRUMENTAL,” with the donation. The 1000 For $100 campaign ends March 30. An awareness campaign, “You’ve Been Noted,” begins today, February 28, with colorful musical notes and symbols popping up on lawns throughout Burbank. Another awareness effort, “Random Acts of Music,” spreads word of the Music Is Instrumental campaign with impromptu music performances by Burbank students around town. 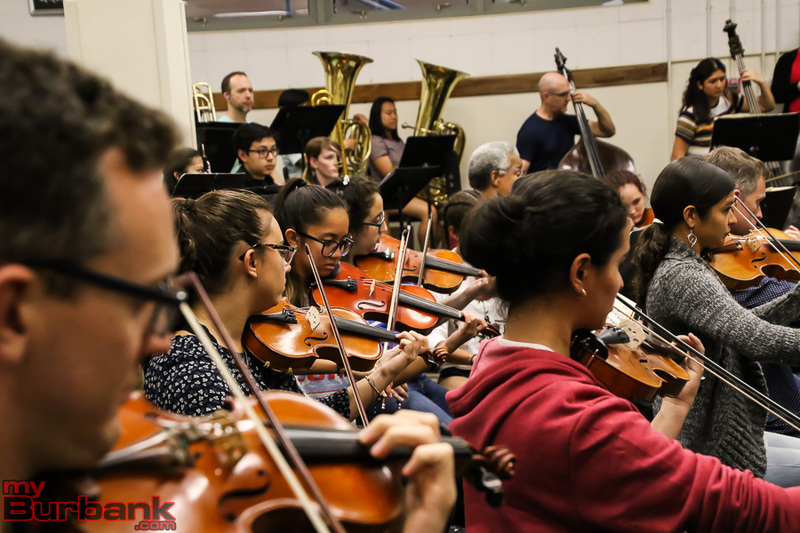 All of the recent months’ fundraising and awareness efforts culminate with a Music Is Instrumental concert at Burbank High School on Friday evening, May 11. The “Music From Film & Television” concert will feature Burroughs and Burbank High School IMAs, Burroughs VMA, professional musicians from the Musicians at Play Foundation and the BUSD All District Symphonic Orchestra. 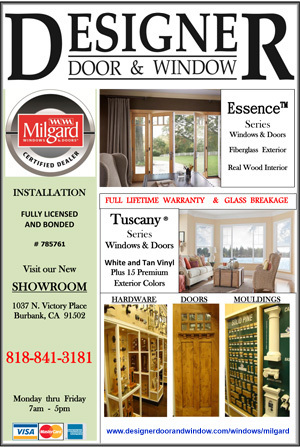 This entry was posted in News, Schools and tagged 1000 For $100, Burbank Arts For All, burbank instrumental music, Burbank Unified School District, music from film & television, music is instrumental, musicians at play on February 28, 2018 by Lisa Paredes. 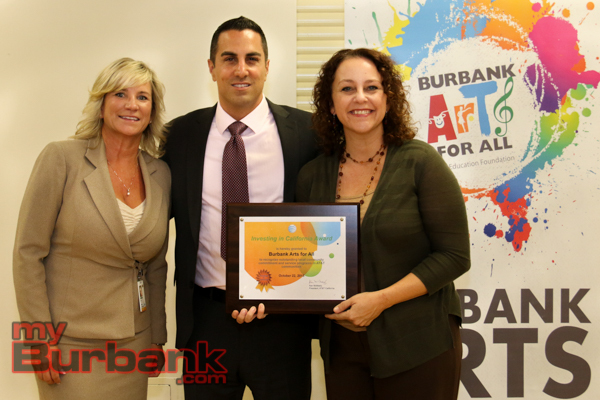 Burbank Arts for All Foundation (the Foundation) announced investments made in media, visual and performing arts programs for schools in Burbank Unified School District (BUSD) at the Board of Education meeting on Thursday November 2, 2017. Trena Pitchford, Executive Director of the Foundation, announced a total of combined grant giving of $38,509.28, the Foundation’s largest gift to date. Included in this total gift is a $10,000 grant to support BUSD’s Music Is Instrumental campaign as well as an investment of $28,509.28 in school site programs. 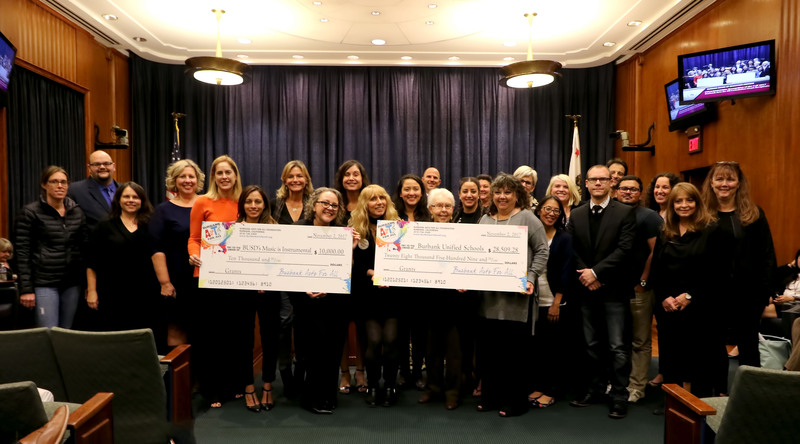 For the Foundation’s 21st grant cycle, twenty-four grant applications were received from schools throughout BUSD, including submissions from seven elementary schools, all three of BUSD’s traditional middle schools and both of the general population high schools, as well as Monterey High School. The granted funds will support a wide variety of programs impacting 8,272 kids in this school year and thousands more in the years to come. 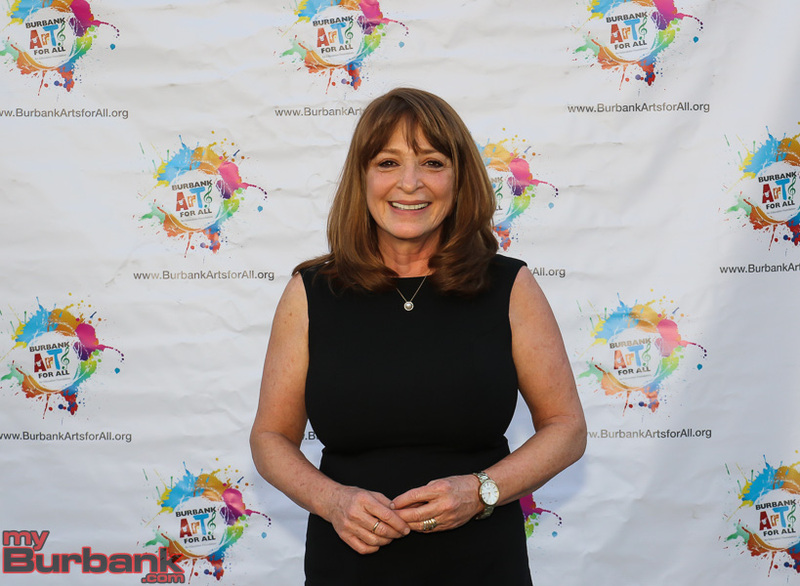 “Since the beginning of our partnership eleven years ago, Burbank Arts for All Foundation is delighted to continue our commitment to support quality programming in all art forms for Burbank Unified kids,” stated Pitchford. Highlights from the investments made this Fall to support creative learning in the classroom include: a pilot program to introduce African Movement and Drums; artist in residency programs in theatre, dance and music; a revival of a musical theatre production at the high school level; a school-wide arts wheel; a new kiln which will replace a 30-year-old kiln for a thriving sculpture program; and engaging creative thinking in the design and construction of remotely operated vehicles for a unique collaboration between marine biology and engineering classes. Since the Foundation began providing grants to schools, a total of $467,718.90 has been invested through 277 grants. Many of the grants funded by the Foundation were matched with funding from BUSD, school sites, PTA units or a school’s booster club. With a consistent lack of funding of state and federal dollars since its inception in 2005, BUSD’s Arts for All strategic plan has been supported by this robust ecosystem of community, business and Foundation funding. In May, BUSD identified a need of $1.2 million to repair or replace musical instruments in middle and high schools and BUSD’s Board of Education adopted the district wide goal 4.4 to “work with community partners to raise 10% of that need by the end of this school year,” naming the yearlong campaign “Music Is Instrumental.” In making the $10,000 grant, the Foundation is supporting this BUSD campaign. This entry was posted in District News, News, Organizations and tagged Burbank Arts For All, Burbank Unified School District on November 7, 2017 by Staff. 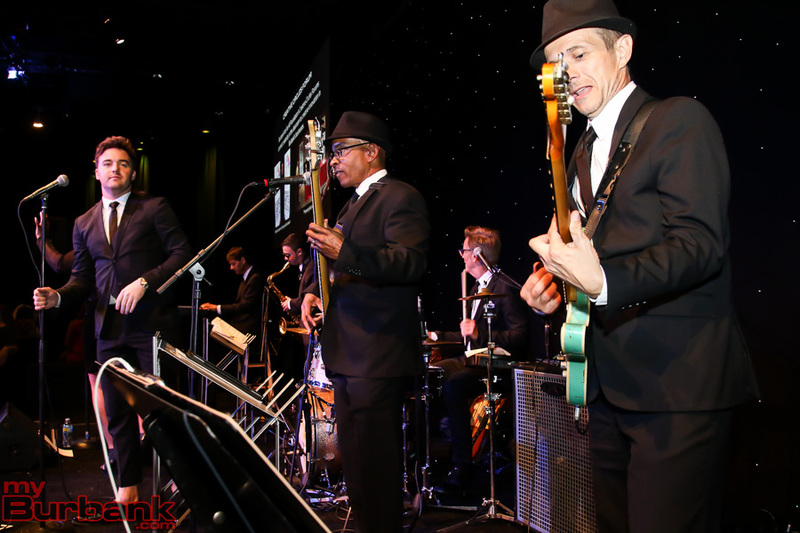 More than 400 members of the Burbank community gathered for the sixth annual Arts For All Foundation gala, Party For The Arts, on April 21. 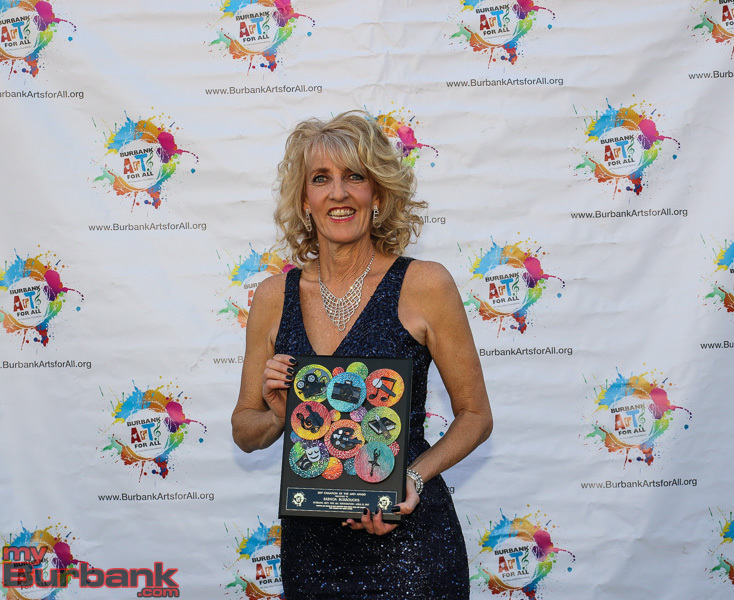 Over $100,000 in net revenue was raised by the event to support the Burbank Arts For All Foundation’s grant making program and community engagement efforts, in addition to the Foundation’s on-going operations. 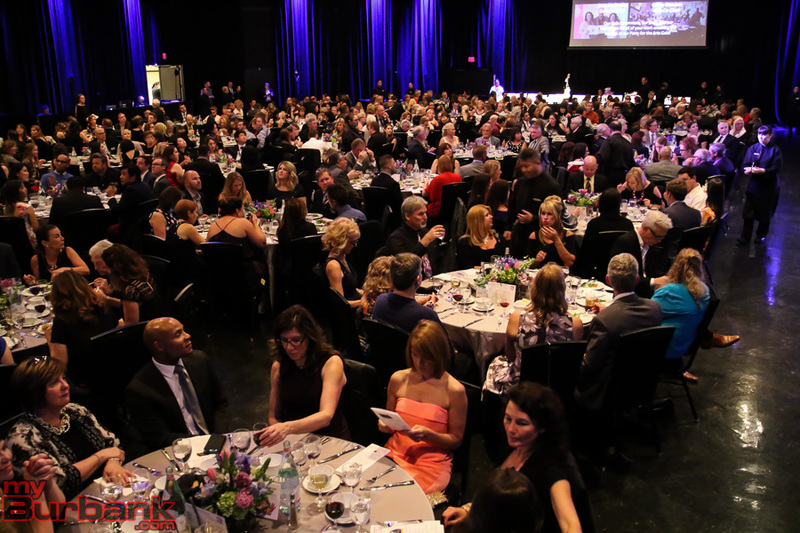 “My favorite part of the night – beyond witnessing all of our guests dancing on the dance floor – was incorporating those directly impacted by some of the investments we have made in arts education,” commented Executive Director Trena Pitchford. 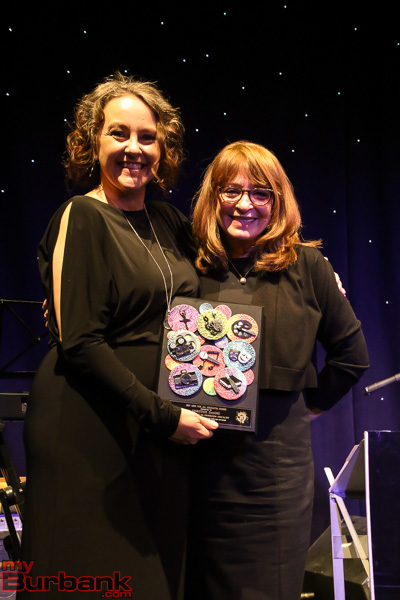 The Party For The Arts event honored Woodbury University as Patron of the Arts, David Starr Jordan Middle School teacher Christine DeMore as Arts For All Educator and Brenda Burroughs with Champion of the Arts Award. 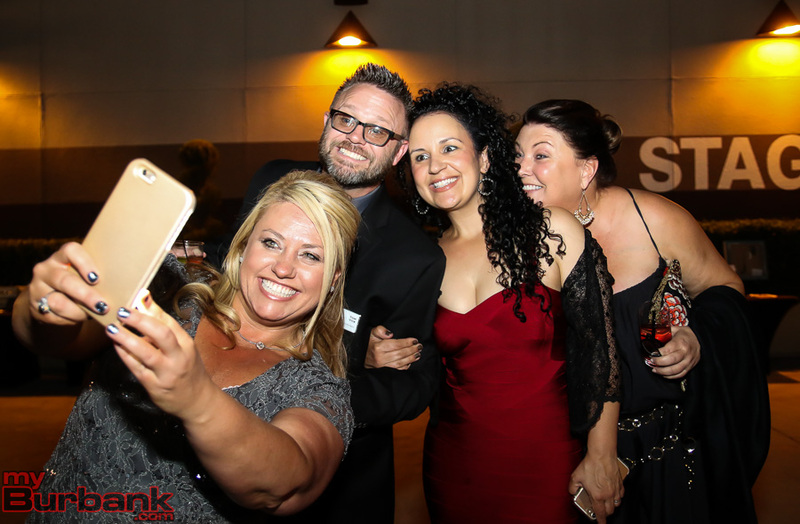 This entry was posted in Events, News, Schools and tagged Burbank Arts For All on May 9, 2017 by Lisa Paredes. For one night only, guests will have the unique experience of discussing careers in the gaming industry with leading industry professionals and educators. The gaming industry business has grown in the past couple of years, sometimes surpassing the total gross profits from cinema, recorded music, and DVD sales combined. The U.S. computer and video game industry generated $23.5 billion in revenue in 2015, according to data released by the Entertainment Software Association (ESA) and the NPD Group, whereas U.S. box office hit an estimated $11 billion in the same year, as reported by media measurement and research firm, Rentrak. Through the Creative Circles Forum’s lively and thought-provoking conversation – followed by a hosted wine and cheese reception – guests will mix, mingle, and gain insider tips regarding this rapidly developing platform of the entertainment industry. 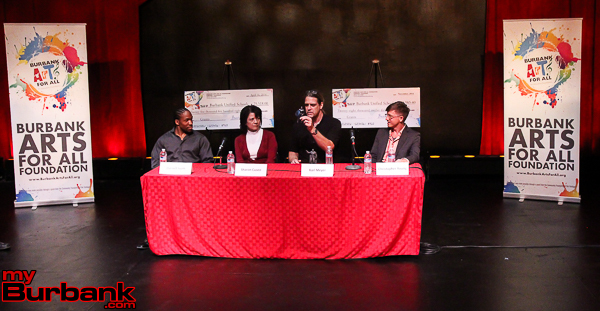 Burbank Arts for All Foundation’s Executive Director, Trena Pitchford, said, “We are thrilled to host this rare opportunity for our community to hear from the pros about the video game industry. From games designed for your smartphone to games on your home entertainment system, there are many opportunities for careers in this growing field at major studios and small businesses in Burbank and in our local region. At the Creative Circles Forum, the Foundation hosts 80 to 100 guests, including students, parents, artists, executives from the video game and entertainment industry, as well as city and community leaders who join us in support of arts education and the creative economy in Burbank. After the exciting conversation, the hosted wine and cheese reception will also include complimentary Poquito Más® Mini-Más™ Burritos! Timothy Ford is a lead software engineer for Gameplay and the upcoming Overwatch, Blizzard Entertainment’s highly-stylized team-based multiplayer game set on a near-future earth, featuring a diverse cast of extraordinary characters embroiled in an epic, globe-spanning conflict. Ford is responsible for the team of engineers who write the game simulation, animation, and user interface. Alongside his team, Ford works in all aspects of gameplay code. Ford joined Blizzard Entertainment in 2009 as a senior gameplay engineer. Before joining the company, he served as the lead AI and animation programmer on the popular Medal of Honor series. Ford has invested a tremendous amount of time researching technology solutions to make game development more efficient and fun, and reaps the rewards of that research at Blizzard Entertainment. When he isn’t working, Timothy spends most of his free time with his wife, son, and daughter. He also enjoys watching movies and loves UCLA and Green Bay Packer football. Rod Parong is a Principal Artist at Insomniac Games’s Burbank (Calif.) studio. He creates high- quality, AAA content for environments and cinematics, ranging from natural landscapes to cityscapes. Rod also manages outsourcing. During his time at Insomniac, Rod has worked on the award-winning Sunset Overdrive, developing the faction-themed bases, cinematic scenes, and main player’s apartment base. The game received several nominations for its vibrant art style and direction. Rod is credited with more than 25 titles from Insomniac Games and Novalogic Inc., including series from Ratchet & Clank, Resistance 2 & 3, and Delta Force: Blackhawk Down. 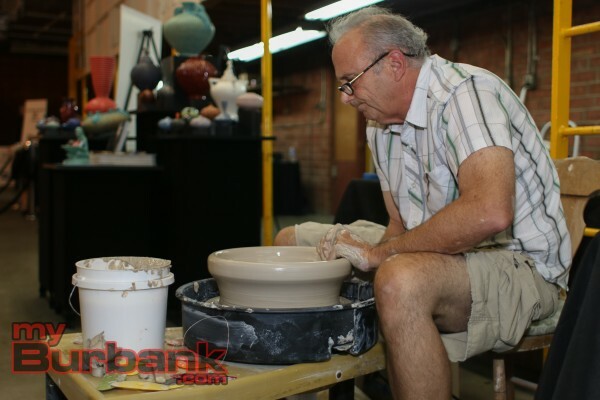 In his free time, Rod enjoys spending time with his wife, being schooled by his son in video games, and developing his daughter’s artistic talents. He is an active volunteer with his church’s youth ministry where he enjoys serving as a summer camp counselor. Chris Mitchell teaches the Digital Media classes at David Starr Jordan Middle School in Burbank. This is his second year running the Jordan CougarLAB where students can explore a wide variety of digital media fields including computer graphics, video production, digital music, animation, motion graphics, coding, and game design as well as help produce the school yearbook and segments for the school video show, CougarVISION. 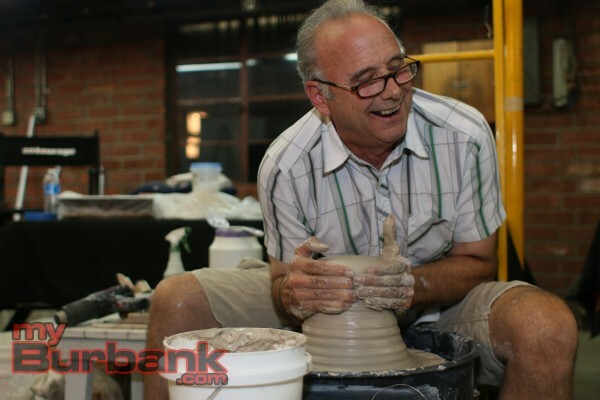 Prior to coming to Jordan, Mitchell worked at Luther Burbank Middle School in Burbank for 25 years, starting as a Social Studies teacher and then moving into teaching Digital Media classes including web design, graphics, and video production. He has taught evening ROP classes for high school and adult students, summer GATE Technology classes, and after school computer enrichment programs for Video Production and Game Design. Chris got his first taste of game design in 9th grade, when he learned the BASIC programming language and was able to use it to program a football game on a TRS80 computer. He was an Economics Major at Occidental College and returned there to get his teaching credential. 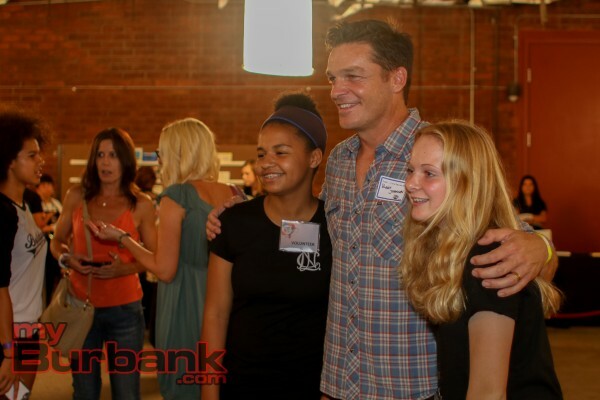 He has also enjoyed taking Graphic Design classes at Art Center in Pasadena to update his skills.  William Novak, known professionally as simply “Novak,” is the Chair of the Department of Game Art & Design at Woodbury University. Novak has been designing and developing award-winning video games for 29 years, creating branded properties and original IPs for many game publishers, including Sony, Nintendo, Electronic Arts, Sega of America, Nokia, Fox Interactive, Virgin Interactive, Simon and Schuster, the Haley Miranda Group, and Toyota/Scion. He started making games in 1982 as an assembly language programmer and designer at Sega’s Coin-Op division during the Golden Age of the Video Arcade and has been publishing games regularly ever since. While Project Designer at Mattel Toys, Novak received the Creative Excellence Award and also attained Mattel’s highest honor, receiving two Chairman’s Awards for his game design of Nintendo’s “Super Glove Ball” and for designing the interface used by the world’s first interactive TV show, Captain Power and the Soldiers of the Future. Before his immersion in all things digital, Novak was a central figure in San Francisco’s emerging punk rock scene. He founded two independent record labels, Dumb Records and Nth Degree, and produced underground hit records for the most notorious first wave of SF bands such as The Nuns, Crime, The Readymades and The Survivors. 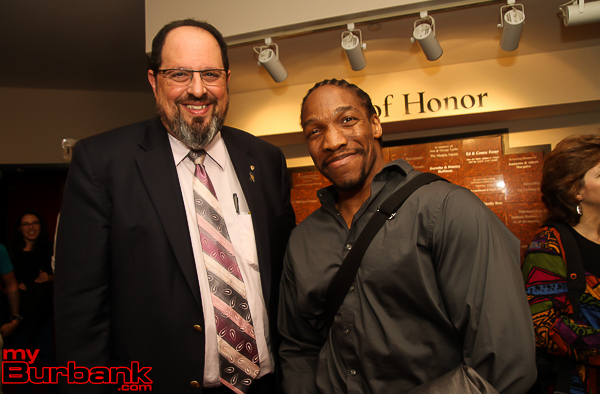 Novak’s undergraduate studies focused on avant-garde electronic art and music composition. He was the studio assistant of the 20th century’s most influential composer and thinker, John Cage. He regularly gave lecture/demonstrations in local high schools with early synthesizer pioneer, Robert Moog, and produced many new music concerts for visiting experimental composers and artists, including Philip Glass, Alvin Lucier, Frederic Rzewski, Kenneth Gaburo, David Behrman, and Merce Cunningham. Novak is currently designing a casual iPad game with a focus on inventing state-of-the-art gameplay interfaces that fully exploit Apple’s touchscreen.  Moderator Scott Pitchford is the Director of Research & Client Consulting for Nielsen Games (a division of The Nielsen Company). The Games division provides both primary custom research and syndicated services for the video game industry; including publishers, first party manufacturers, developers and agencies/advertisers. The team manages the video game vertical for Nielsen globally and has a deep knowledge of both consumers and the industry, including consumer behavior, traditional and mobile gaming, software, peripherals and hardware, and emerging trends in the category. One of Pitchford’s specific areas of focus is managing Nielsen’s Video Game Tracking service, a marketplace assessment tool that allows video game publishers to monitor the competitive mind share of all types of video game consumers for upcoming and recently released titles. Pitchford has over 15 years in entertainment research, with 10 years specific to the gaming industry. Prior to Nielsen Games he was Senior Analyst, Global Consumer Research for Vivendi Universal Games, handling all phases of qualitative studies (moderating focus groups, conducting user tests) and quantitative studies, for the marketing and playtesting initiatives of various video game releases. In his spare time, Pitchford is a gamer himself, a dedicated Seminole alumni and enjoys traveling with his wife and two sons. 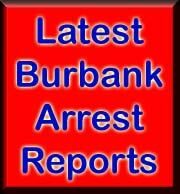 This entry was posted in Events, News, Organizations, Schools and tagged Burbank Arts For All on February 24, 2016 by Staff. Pictured from L to R: JC Holt (YMCA Burbank) Trena Pitchford (Burbank Arts For All) Damian Kevitt (Streets Are For Everyone) Ariel Van Pelt (Friends of the LA River). Assemblyman Gatto, on behalf AT&T, presented grant checks to non-profits that serve the communities of the 43rd District. 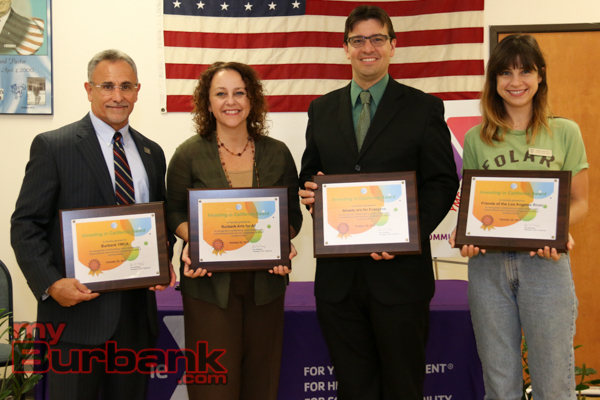 Out of the numerous grant applicants, two from Burbank, the Burbank YMCA and Burbank Arts for All were each selected to receive a $1,250 grant. Finish the Ride, and the Friends of the LA River also received grants. AT&T California has created a new giving program called the “Investing in California Awards.” The purpose of the program is to provide resources and recognition to organizations and programs that are improving lives in their communities and the state by advancing economic growth, educational opportunities or new technologies, or by providing other essential community services. 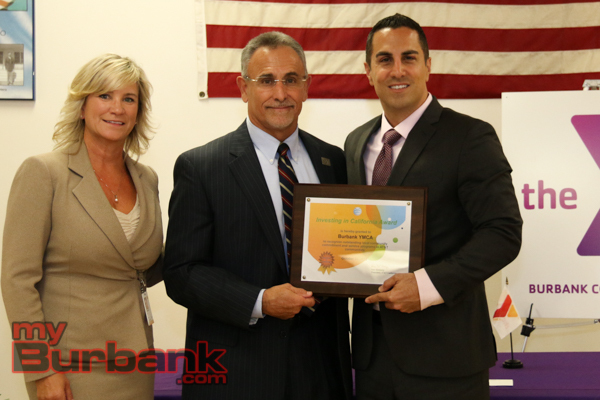 Assemblyman Mike Gatto’s nominations focused on non-profits organizations that have made valuable contributions in the local community. All of the grant recipients have played an instrumental role in the quality of life of residents in the 43rd District. 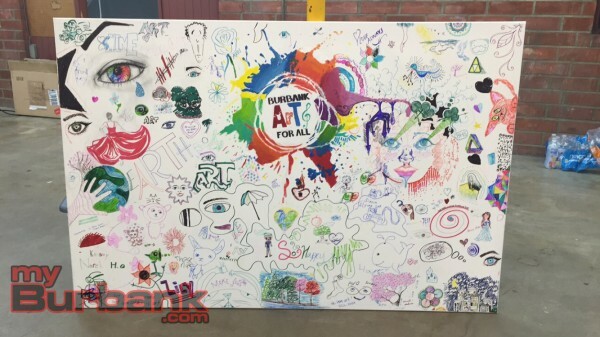 This entry was posted in News, Organizations and tagged Assemblyman Mike Gatto, Burbank Arts For All, Burbank YMCA on October 23, 2015 by Craig Sherwood. 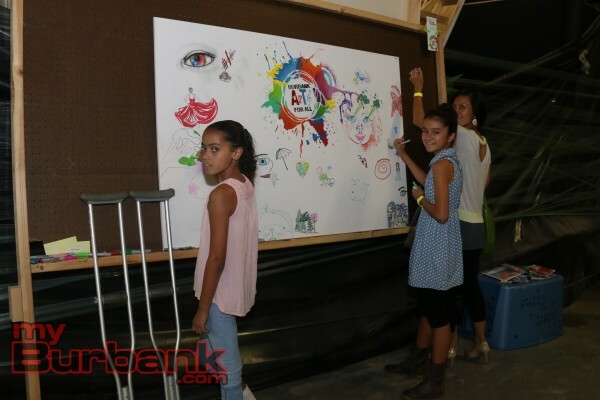 Burbank Arts For All Foundation (BAFA) put on its third annual The Secret Art Show last Saturday evening, September 26, at ATB Studios in Burbank. 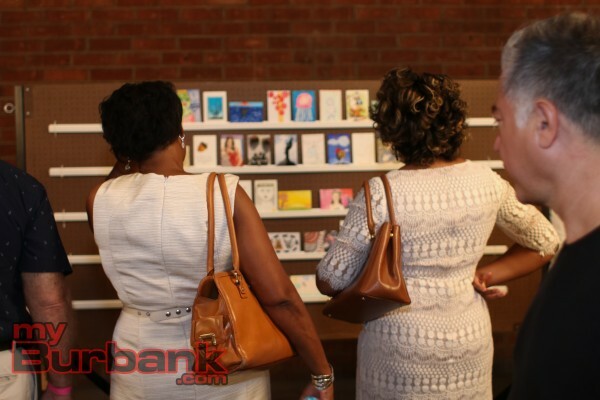 The event raised over $30,000 for the foundation and showcased more than 1000 4×6 inch artworks by more than 500 different artists. 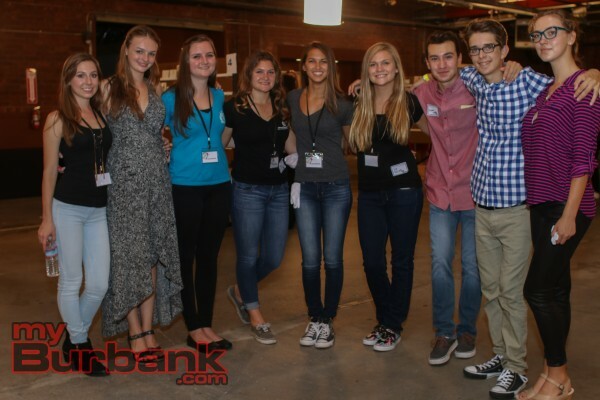 Student volunteers pose for a photo at the Secret Art Show on Saturday. Live visual and musical artists performed during the four-hour event. 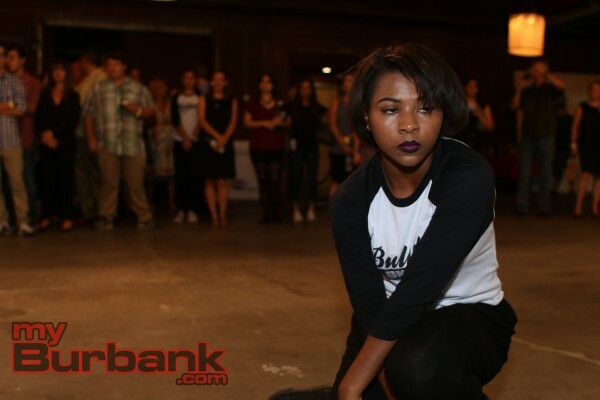 Burbank High School’s Dance Team “Unleashed” took the crowd by surprise with a late-evening flash mob dance. 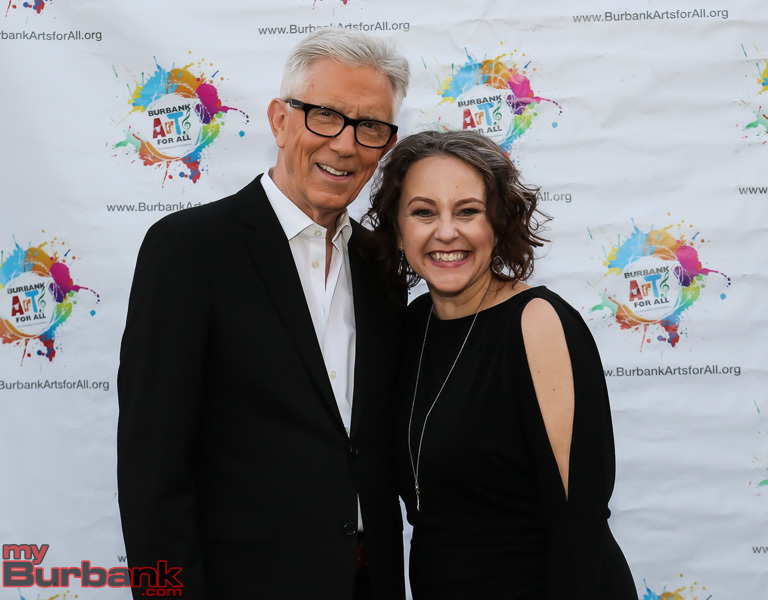 “Burbank Arts for All Foundation is grateful to the entire Burbank community and because of their generous support, the third annual Secret Art Show was a huge success,” commented BAFA Executive Director Trena Pitchford. The Burbank High School dance team “Unleashed” arrives at the Secret Art Show on Saturday, just moments before they put on a spectacular performance. 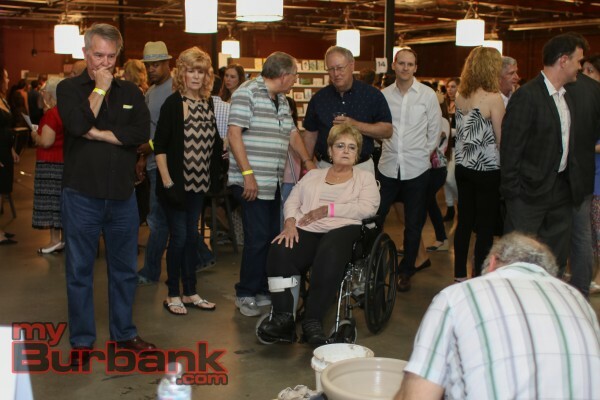 More than 500 guests attended The Secret Art Show including City Councilmember Will Rogers and Burbank Unified Board of Education members Dr. Roberta Reynolds and Dr. Armond Aghakhanian along with BUSD Superintendent Matt Hill. 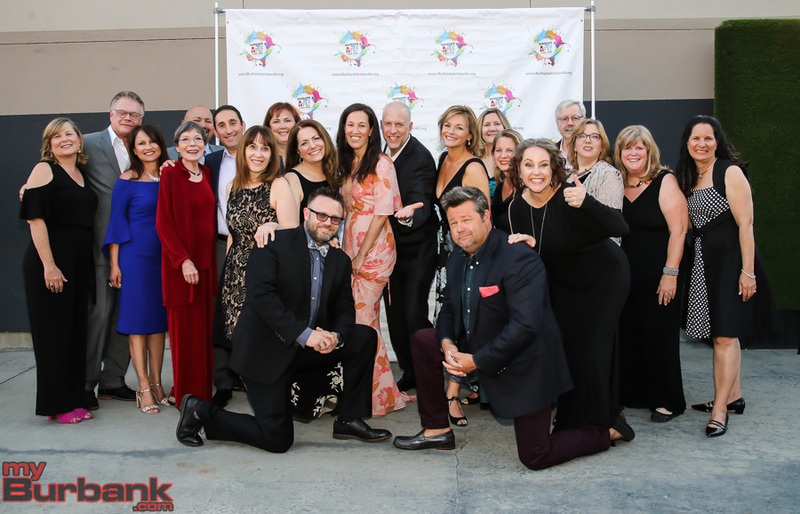 Several of the Secret Artists, members of Burbank Arts for All Foundation’s Board of Directors, BUSD teachers, principals and administrators, Burbank citizens and industry leaders also enjoyed the event. Art show volunteer Isabella Mardirossian carefully removes an artwork from the display board, to offer a closer look to an art show attendee at the Secret Art Show on Saturday. 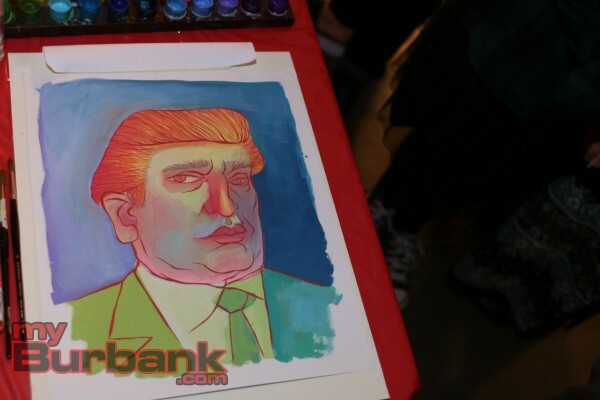 “As always, the wonderful part about The Secret Art Show is our ability to showcase student works of art alongside celebrities and well-known professional artists,” added Pitchford. 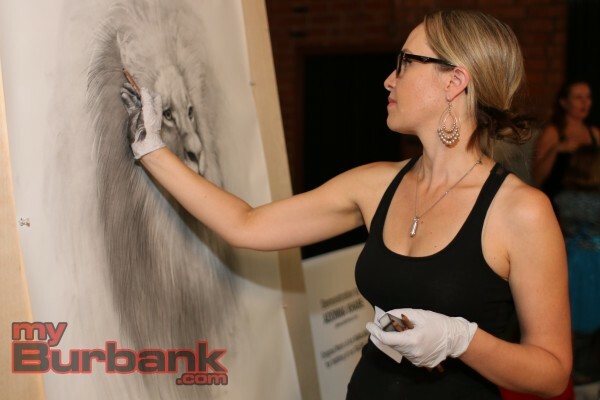 Adonna Khare puts on a demonstration at the Secret Art Show on Saturday as she works on an enormous drawing of a lion. This entry was posted in News, Schools and tagged bafa, Burbank Arts For All, BUSD, busd arts, the secret art show on September 30, 2015 by Lisa Paredes. 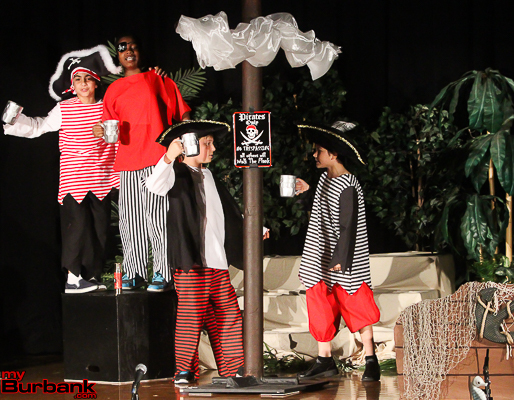 The fifth-grade students in teacher Melissa Pamperin’s class at Joaquin Miller Elementary buzz with excitement as they prepare for their final performance of Penelope and the Pirates. 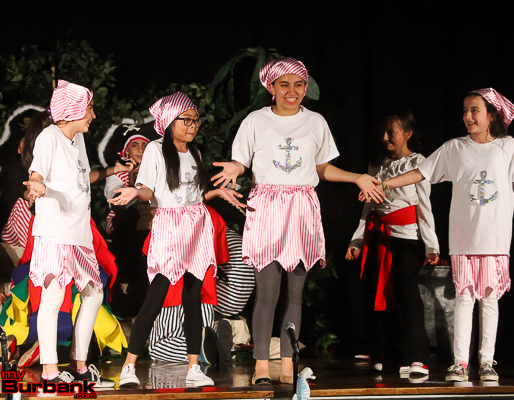 The Miller Elementary theater program has become a touchstone of the school’s integrated arts programs, as the school received the California Exemplary Arts Education honor last year. 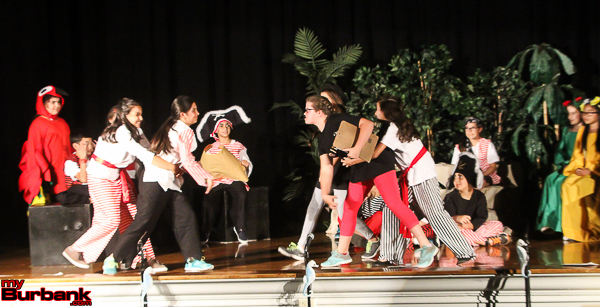 “The play tells the story of a pathetic posse of pirates that has lost the one and only treasure they’ve ever managed to find and the princess who runs away from home with her ladies in waiting in hopes of having at least one great adventure in her life,” commented Pamperin, who also wrote the story specifically for the fifth-grade production. 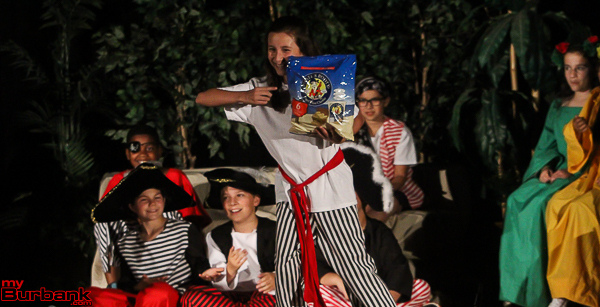 Melanie Josephian, age 10, portrayed Penelope the Princess and thought that the scene in which Penelope trains the pirates to be better pirates, set to the theme song from Rocky, was her favorite. The pirates are pretty pathetic – one is afraid of fish, another can’t read a map. Ethan Consignado, age 10, portrayed the captain’s son, Jack Millgan. 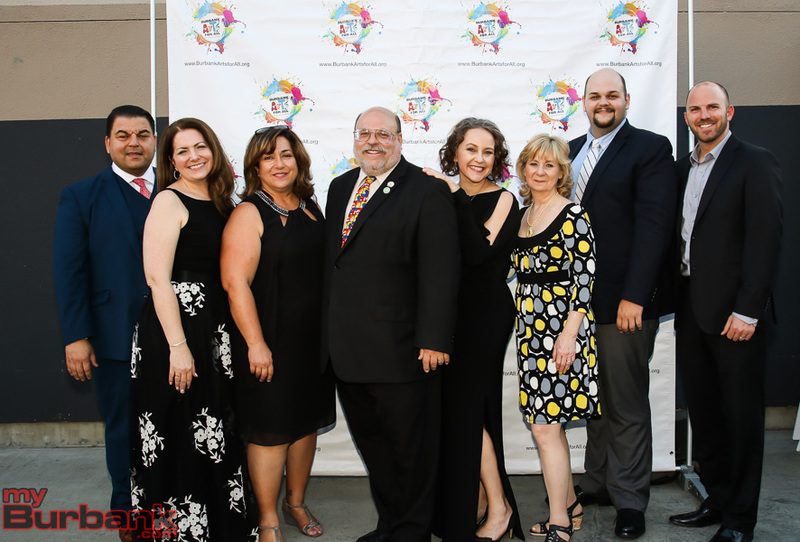 Burbank Arts For All Foundation Executive Director Trena Pitchford and many of the BAFA board members, along with BUSD officials and Miller Principal Judy Hession, attended Thursday’s show in the school auditorium. Students from the New York Film Academy filmed the rehearsals and behind the scenes work during the final week of production, along with the entire performance opening night. A BAFA grant helped Pamperin stage the performance. Pamperin mentioned that studies have shown theater programs can result in faster and more thorough English proficiency achievement for young English Language Learners. Miller’s English Language Learners total 32% of the student population currently, according to ELD Office Specialist Ana Arzumanyan. That percentage includes children who have been reclassified as English proficient, as they are tracked for two years following proficiency achievement. Miller Elementary’s teachers, supported by grants from BAFA, have integrated arts and theater instruction into daily classroom work. Recently, National Endowment for the Arts Chair Jane Chu and several officials from the L.A. County Arts Commission, visited Miller Elementary to see their state-honored arts programs in action. 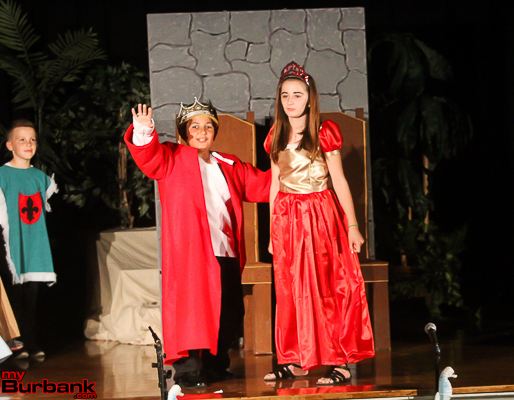 This entry was posted in News, Schools and tagged bafa, Burbank Arts For All, miller elementary, miller theater program on March 25, 2015 by Lisa Paredes. 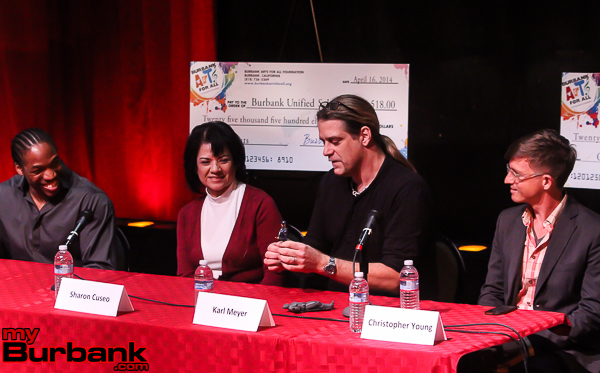 Innovation, technology and the future of the creative industry focused the attention of panelists and attendees at the most recent Burbank Arts For All Foundation (BAFA) Creative Circles forum. Held at the Colony Theatre, the BAFA forum featured perspectives from Burbank Unified’s Assistant Superintendent of Curriculum Development and Implementation Sharon Cuseo, special effects designer Darnell Isom, Vice President of Entertainment at 3D Systems Karl Meyer and Nickelodeon Animation Studios Technical Producer Christopher Young. Much of the discussion from the open Q&A session centered on the skills, tools and preparation needed for high school and college students to enter the technology-laden fields of media, entertainment and creative industries. “There are many, many talented people here in California, working in their fields for many more years,” acknowledge Isom, a special effects designer at Legacy Effects, noting that it can seem daunting for people to break in to creative fields. Isom started as a runner and then became a mold maker. He took classes at night and taught himself computer programs. Isom talked with more established designers, and asked for small opportunities to prove himself, to contribute as a designer. His persistence and dedication to learning computer programs and new technology led him to his position as a special effects designer, working on films including Avengers, Iron Man, Avatar, and Pacific Rim. Computer programming in the creative industries is vital, added Young. He expressed excitement about the harnessing of game engine technology as a platform for students to tell stories and learn to design. 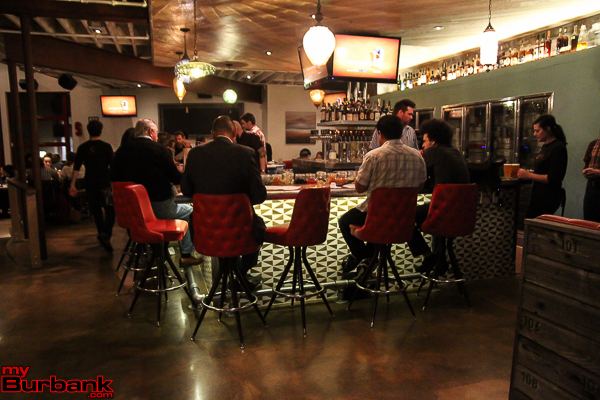 Meyer also emphasized that living in the Burbank area, in the center of creative industries, is a great advantage. “Having the right attitude and not a sense of entitlement” is also key, according to Meyer, along with being prepared to contribute and be a valuable employee. All the panelists agreed that one of the most crucial pieces of technology students should learn to use are 3D printers. Coding was also brought up as an important skill for the emerging job market. 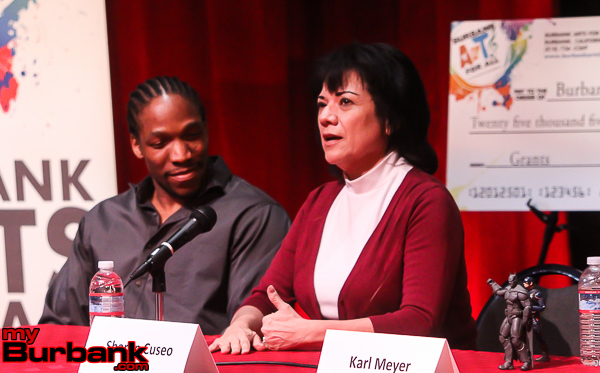 Cuseo briefly talked about the development of classes at both Burroughs and Burbank High Schools to specifically address the technology and skills requirements of careers in the 21st century. She mentioned the California Career Pathways grant BUSD received along with other area high schools and colleges of the Verdugo Creative Technologies Consortium, funding curriculum and teacher development. The BAFA forum was attended by Burbank Mayor Dr. David Gordon, City Councilmember and candidate Emily Gabel-Luddy, City Council candidate Chris Rizzotti, City Council candidate Juan Guillen, City Manager Mark Scott and City Treasurer and Vice Chair of the Verdugos Workforce Investment Board Debbie Kukta. Burbank Unified Board of Education President Roberta Reynolds, Board of Education member Dave Kemp, BUSD, Board of Education member–elect Steve Ferguson, Board of Education candidate Greg Sousa and BUSD Superintendent Dr. Jan Britz also attended, along with Gary Olson, President of the Burbank Chamber of Commerce and Chairman of the Verdugos Workforce Investment Board. “What an inspiring evening! Through our Creative Circles Forum, Burbank Arts for All Foundation’s goal is to provide a bridge where our local public school district, city officials, parents, artists and business leaders can begin to identify commonalities to further Burbank’s healthy community and creative economy,” commented BAFA Executive Director Trena Pitchford. BAFA will post a list of resources for parents and students recommended by the panelists online in the next few days at http://www.burbankartsforall.org/creative-circles-forum. This entry was posted in News, Schools and tagged bafa, Burbank Arts For All, creative circles forum on March 24, 2015 by Lisa Paredes. 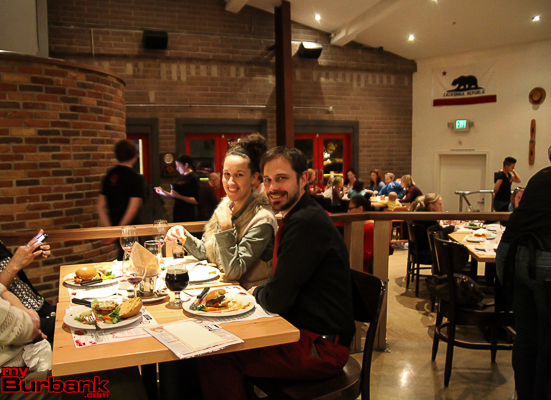 Simmzy’s Burbank would like to invite you and a guest to enjoy a free artisan meal at Simmzy’s Burbank TODAY for LUNCH and DINNER! 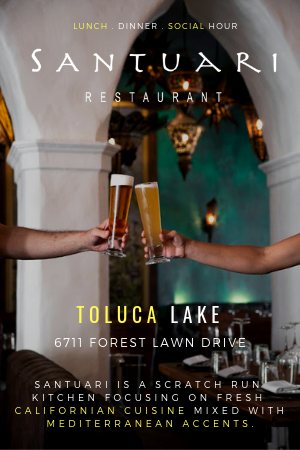 To make your reservation, contact Dorothy at 818-962-2500 or Dorothy@simmzys.com and BE SURE to mention that you are with Burbank Arts for All Foundation when you make your reservation. 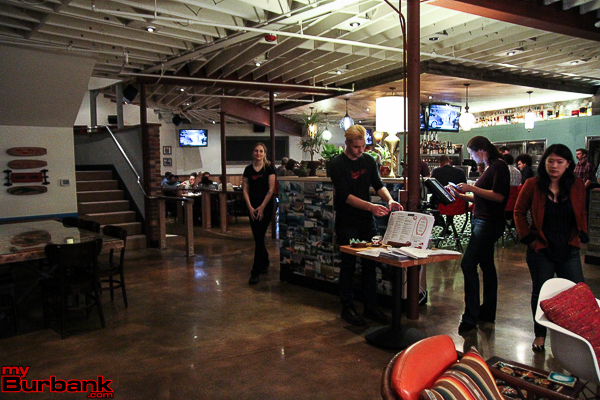 This entry was posted in Business, Events, Nightlife, Schools and tagged Burbank Arts For All on January 13, 2015 by Ross A. Benson.